shake2unormally costs $4.99, so scoring it for just $1.99 is pretty sweet. 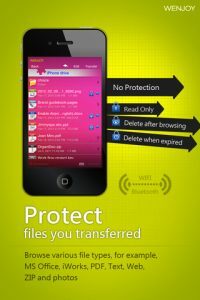 Developed by Wenjoy Technology Inc., this handy iPhone app offers a secure way to transfer big files from phone to phone using WiFi or Bluetooth. 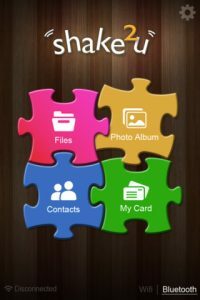 Smartly designed with tons of cool features, this super file transfer app is worth checking out (provided you need to transfer files often enough to need a pay-to-play app.) 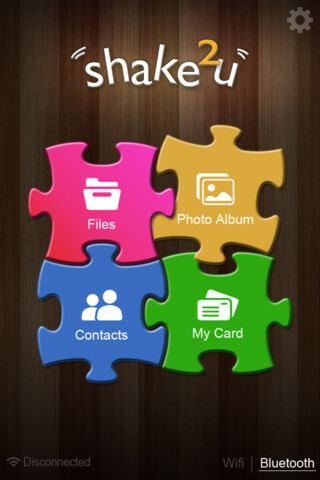 Beyond sharing in shake2u, you can also transfer your files (like photos, for example) to other apps or to your computer, save to Photo Album, or send them via email. One of the smartest touches in the iPhone app are the sending settings. For example, you can arrange for a file to be deleted automatically after a certain amount of time has passed, protecting your security, or just saving memory space. 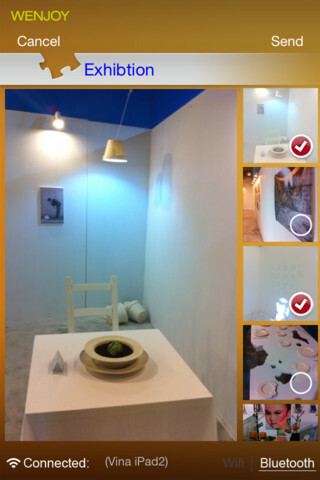 You can also set files as read-only, so they cannot be sent out of the app. shake2u is the perfect smart touch for an app that prides itself on secure file sharing over WiFi or Bluetooth. There’s support for a wide range of file types – full list below. Depending on what kind of media you’re trying to share, you might need to compress it before sharing. But for an average user looking to share work-related documents, pictures, or web files, you’ll be pretty well satisfied. 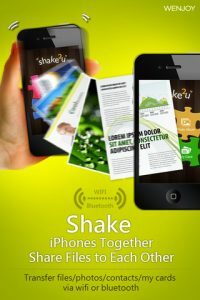 Bottom line: if you need a file transferring app, you can’t do much better than shake2u. 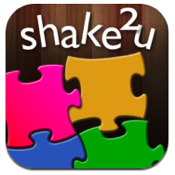 shake2u is compatible with iPhone, iPod touch, and iPad. Requires iOS 4.0 or later.